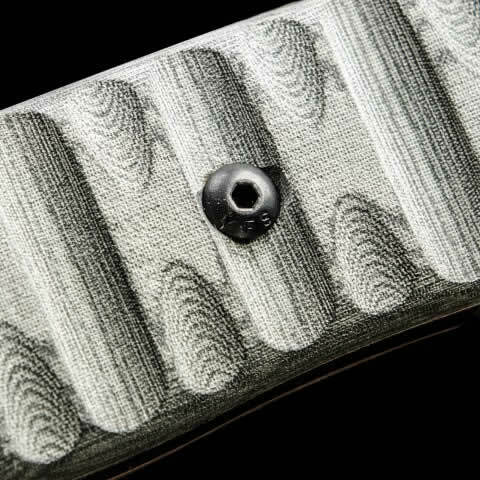 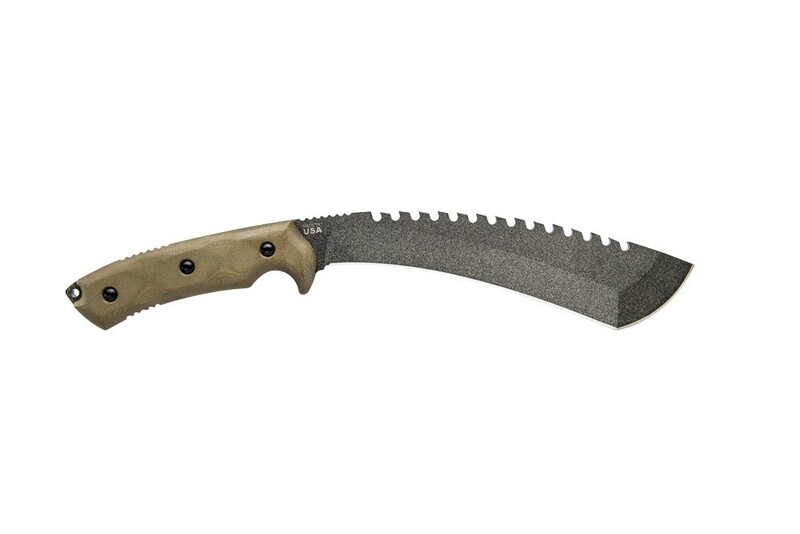 A great option for those looking for something in the 9” blade range. 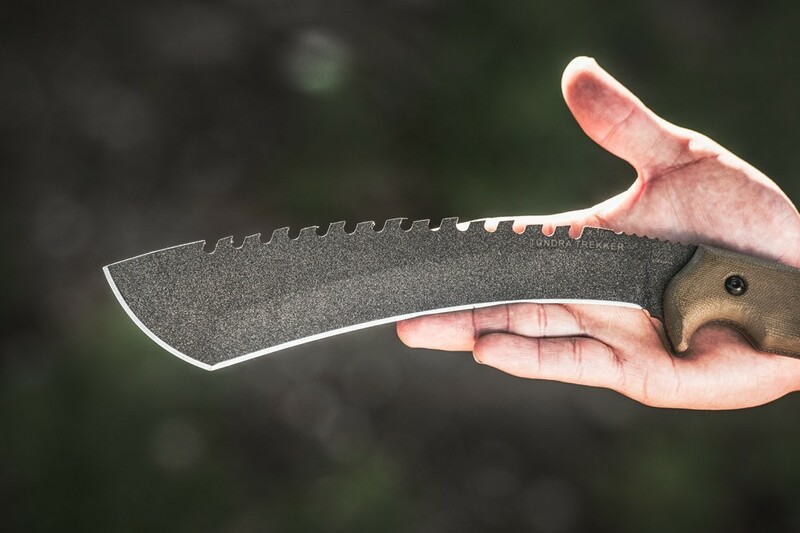 Leo Espinoza is known for his unique designs that are as functional as they are attractive. 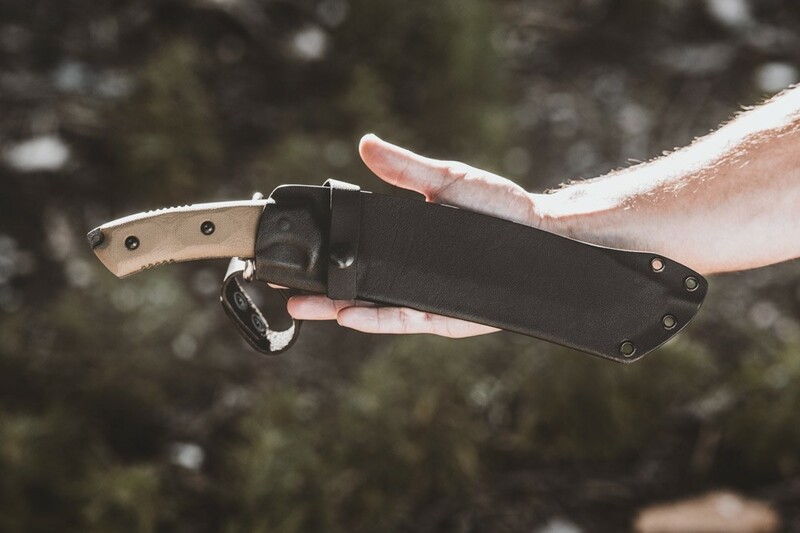 The Tundra Trekker is a Kukri-esque design that has the blade heavy balance and general shape of a standard kukri with Leo's style. 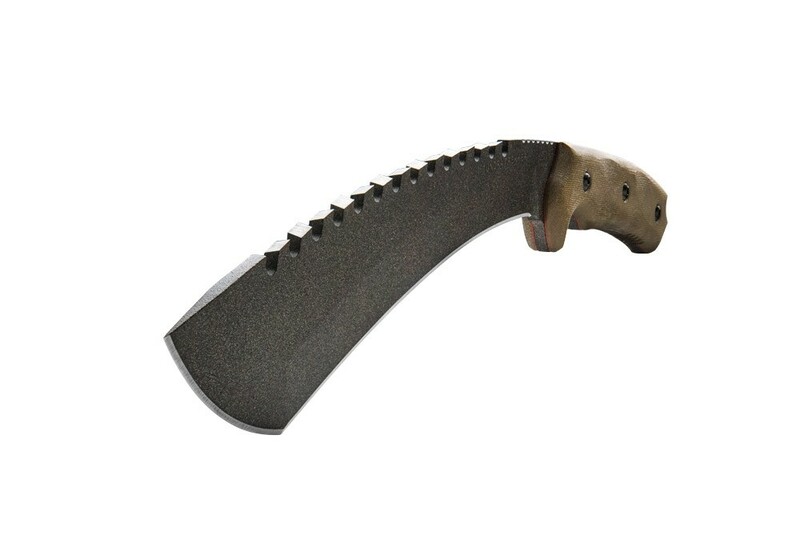 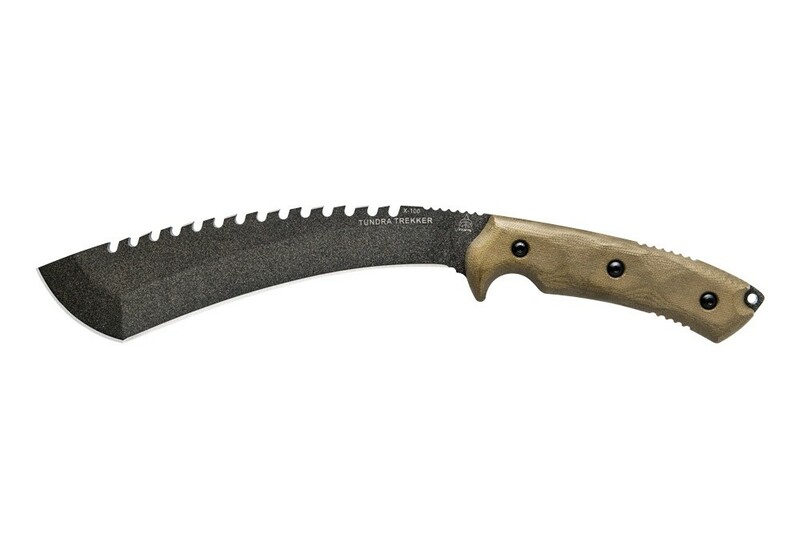 It is thinner and lighter than traditional kukris aside from the obvious fact that the blade style and saw teeth are also not something you'd see on a traditional kukri. 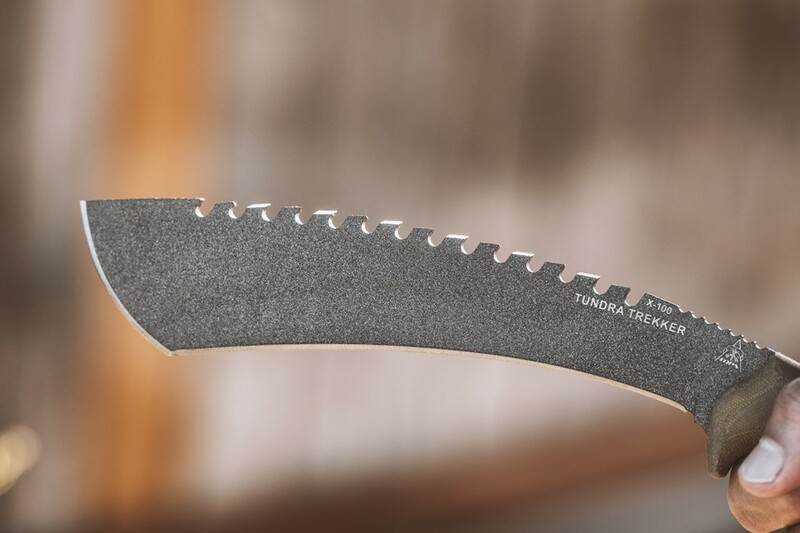 Yet this 9" blade made with a 3/16" 1095 stock will be an excellent cutter in the field. 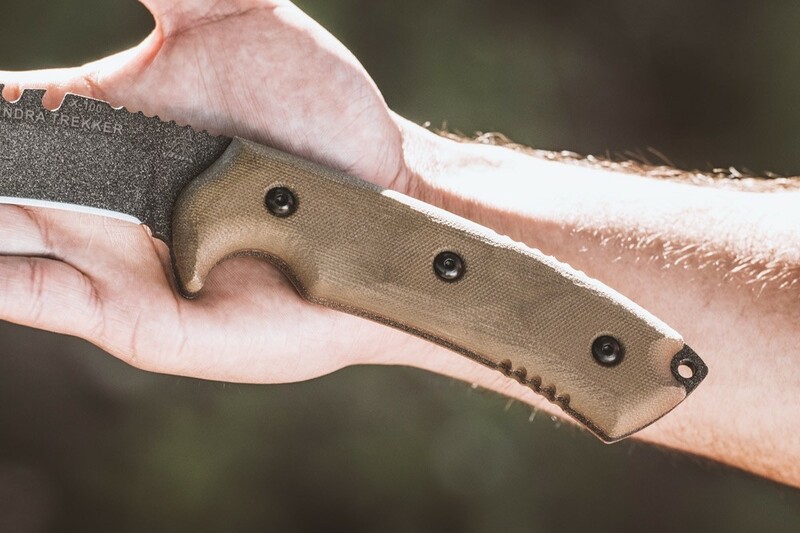 The nicely rounded Micarta handles are long to provide more than one grip option for different cutting tasks. 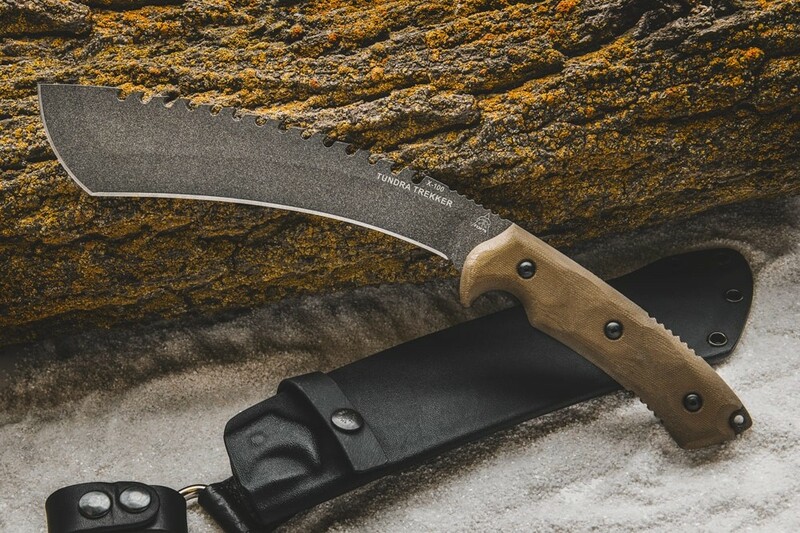 It has our opposing pitch saw teeth on the top so that users can quickly and cleanly make notches in wood when setting up camp or for certain survival tasks. 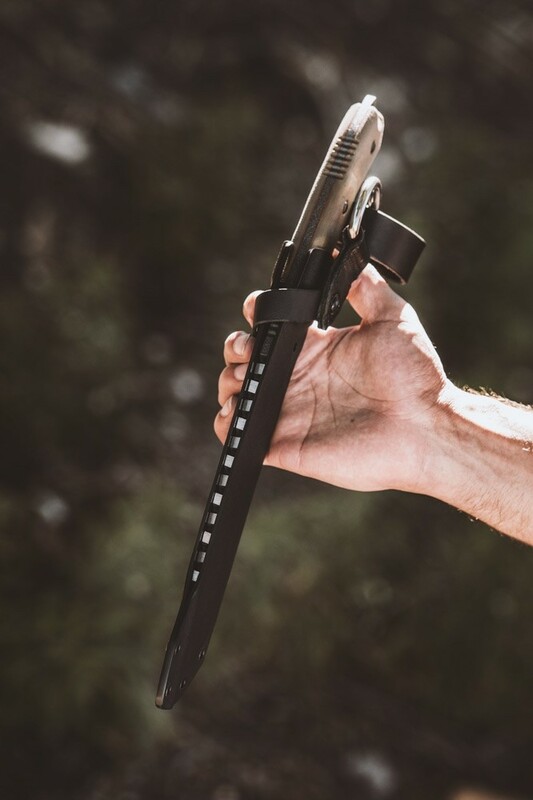 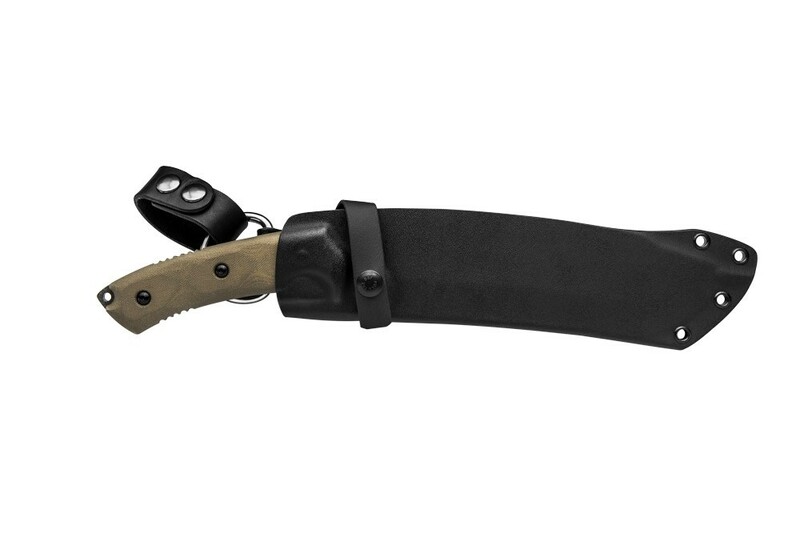 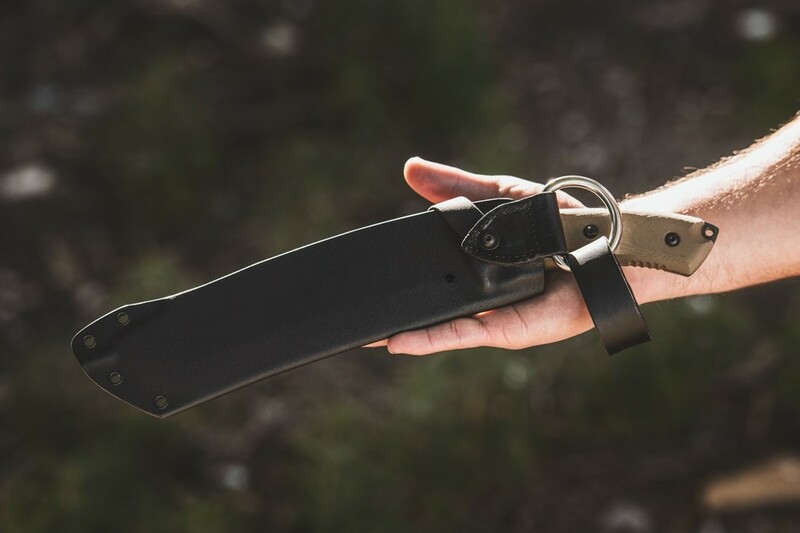 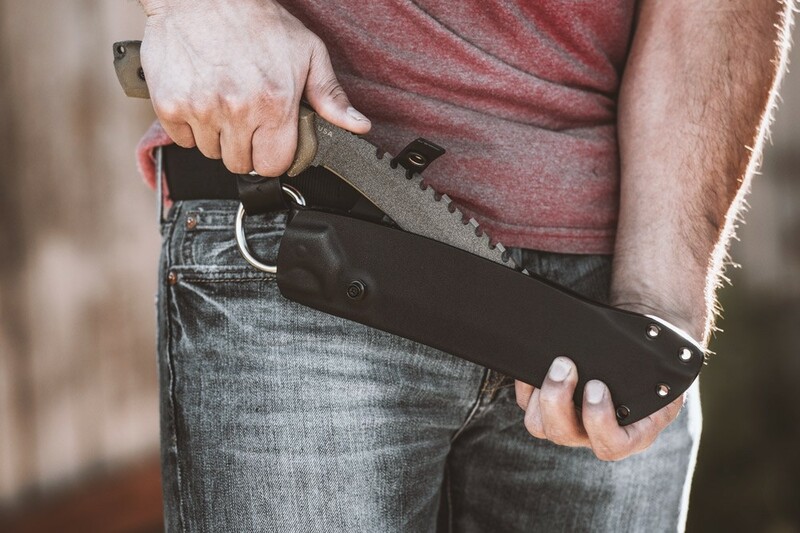 The Tundra Trekker comes with our robust Tactical Stone powder coat finish, Green Canvas Micarta, and an open-backed Kydex sheath with a leather dangler to make it easy to carry through thick brush and trees. 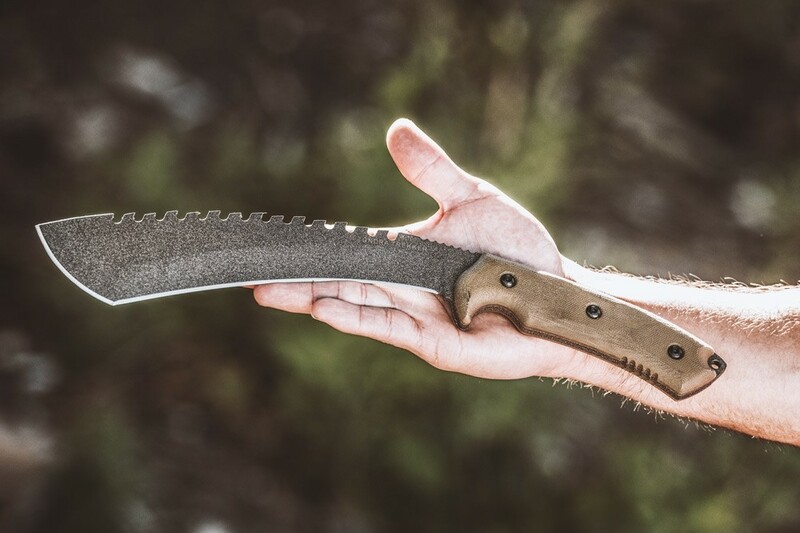 It will excel in anything from chopping wood, to making traps and tent pegs, clearing brush, and whatever else you might decide to throw its way. 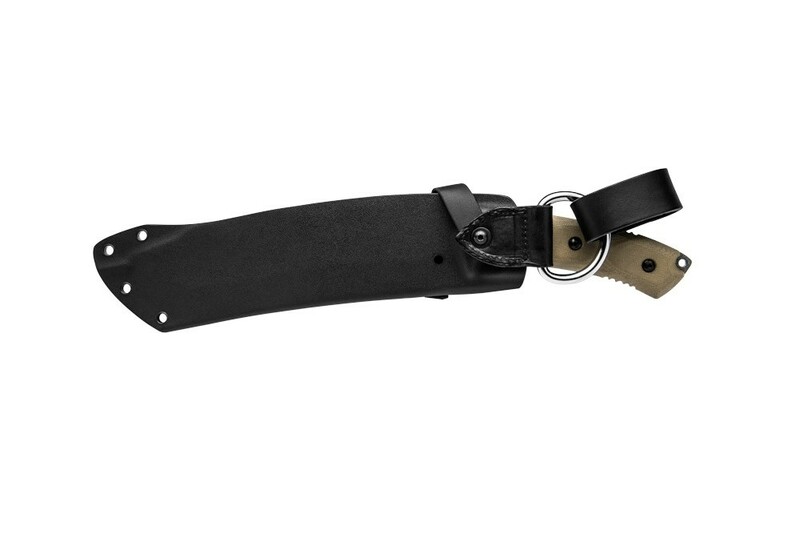 Please use caution when removing this knife from its sheath. 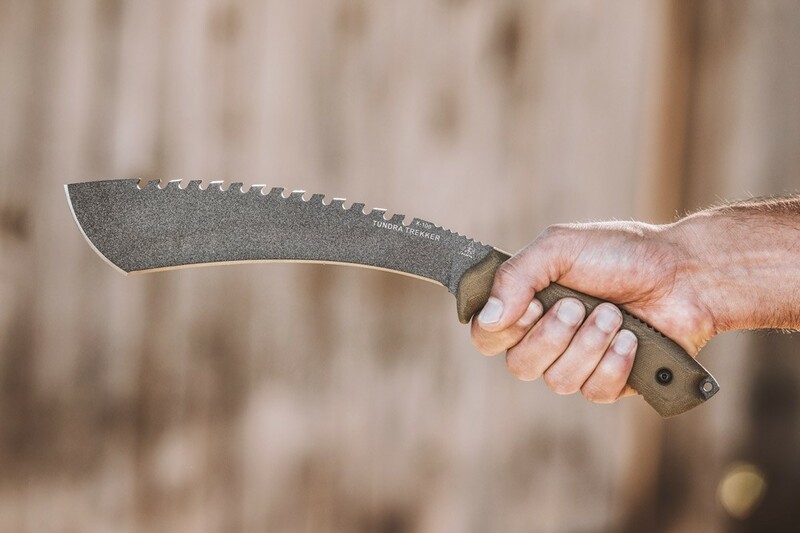 Make sure that if you’re using two hands to remove the knife, the hand holding the sheath is not in a position where the blade’s edge or saw teeth can come into contact with your hand. 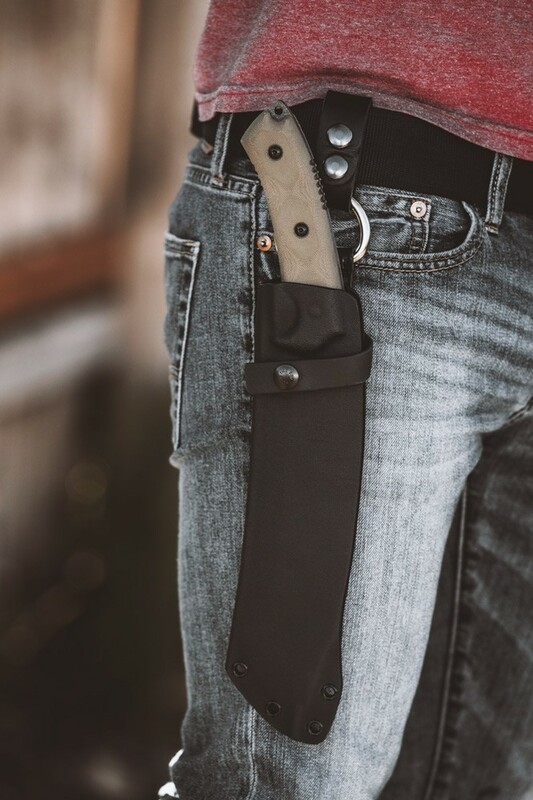 It is important that the same caution is used when returning this knife to its sheath. 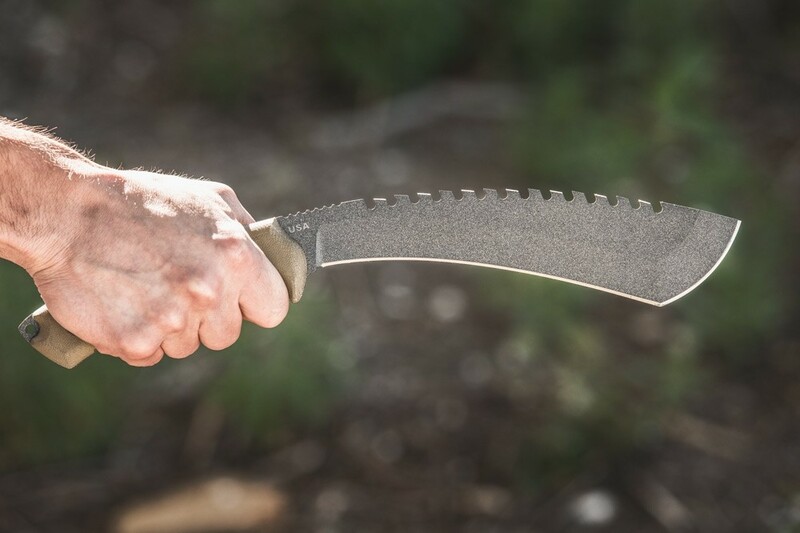 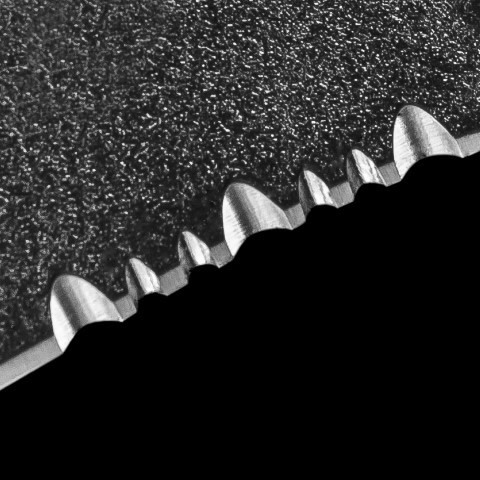 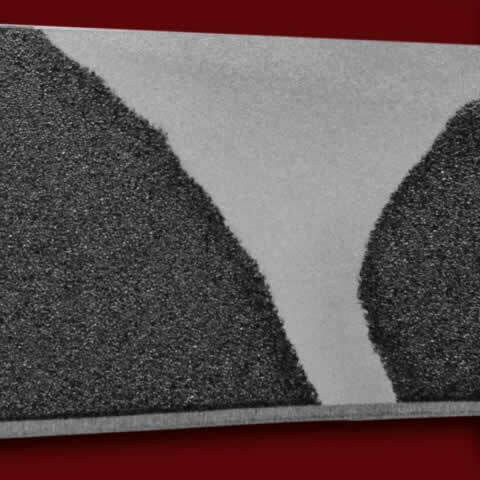 Make sure that the point of the blade is seated properly while reinserting and that your hand is clear of any openings where it may come into contact with the blade.